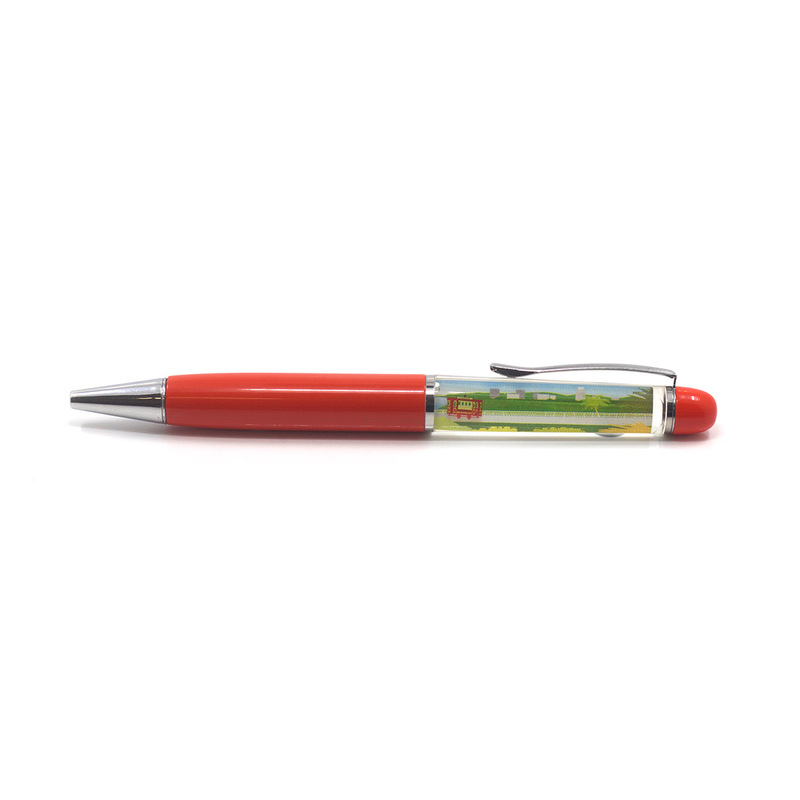 Remember your Cable Car experience every time you put pen to paper with this ballpoint pen featuring Wellington’s iconic ‘relentless red rattler’. This floating cable car pen makes a practical, yet fun keepsake. Tip the pen and watch the cable car move up and down the tracks as you write! This unique ball point pen features the Wellington Cable Car against the stunning backdrop of the Wellington hills, for it can travel up and down. The gift that everyone needs, this pen is here to remind you of your summer holiday in Wellington while your stuck in the office. Pen ink is black, and is replaceable. This product is also available for purchase in store at Wellington Museum and the Cable Car Museum. This item is Exclusive to Museums Wellington and is a part of our custom range. Aimed at celebrating the iconic Wellington Cable Car.